« Trip down memory lane – the playoffs! Tonight on Campus on Air: NSSL! Don’t forget: tonight I’ll be on Campus on Air talking about the NSSL! The broadcast starts at 20h, and I’ll be live around 20:40h. Tune in! 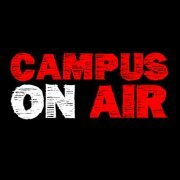 UPDATE: In case you’ve missed the broadcast, you can now listen to it in the Campus on Air archives!